In this post we’ll be seeing our review of the Garmin eTrex 30x GPS. 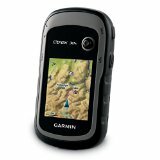 Garmin is one of the leading brands producing some of the world’s best handheld GPS devices. And if you are seriously looking for a tool that you can use for your outdoor adventures and explorations, getting a handheld GPS device can do a lot of wonders. Garmin eTrex 30x is one of the latest devices from the brand. They have upgraded the version of the very popular eTrex 30s. What makes this model widely popular among outdoor enthusiasts? Let’s take a look at its specifications and features. 2 Does It Live Up To Expectations? The GPS receiver is WAAS-enable and it also has HotFix satellite production. It does not come with more preloaded maps and free 1 year subscription of BirdsEye Satellite Imagery unlike the other handheld devices. The very first thing that you notice is that it has a much better screen resolution compared to the previous model. It has a much readable screen with better screen resolution. Backed with an expanded internal memory, it allows you to save data and information making your outdoor experience a breeze as it allows you to download different maps. When you look at its built and design, it sports a rugged design which is suitable for any topography and conditioning. The Garmin eTrex 30x can track GLONASS satellites and GPS making it easy for you to get the info that you need. The brand claims that this model is durable, easy to use, affordable and packed with amazing features and specs. With a broad range of handheld GPS devices, sometimes it can be quite confusing as to which brand and specific model you will choose. But what you will learn about the Garmin eTrex 30x is that it is not just an improved and upgraded version of the previous model, it is also equipped with tons of features and specs that are really useful wherever you go. Tired of exerting too much effort just to read the info and details on the screen? The Garmin eTrex 30x now has 240×320 display which can give you improved readability. It now has a greater resolution with 65k colors giving you a sunlight-readable display on a 2.2 inch screen. The only downside is that it has a relatively smaller screen display compared to other choices. This device allows you to download geocaches along with other details directly into your unit. You now can access key information like location, hints, description, terrain and a whole lot more. These details are very useful so you can anticipate any risk and for you to have a hassle-free outdoor experience. Garmin is known for its precision and quality and the Garmin eTrex 30x will not disappoint you. It has WAAS-enabled and highly-sensitive HotFix satellite prediction and GPS receiver which can easily locate where you are with precision. Even when you are in deep canyons or heavy cover, it can still maintain its location. The device has reliable built-in sensors including 3 axis tilt compensated electronic compass as well as barometric altimeter that can track if there are any changes in pressure. This feature can give you precision especially when finding your altitude. The Garmin eTrex 30x is not just famous without a reason. It is the very first receiver in the market that can trach the GLONASS satellites and the GPS simultaneously. The GLONASS satellites is a system created by the Russian Federation that allows the receiver to lock on a position which is said to be faster than GPS. With its expandable memory, you can now load more maps. It sports a huge 3.7 GB internal memory and a microSD slot. You can now load different maps as well as TOPO 24K, BlueChart, Navigator, etc. The Garmin eTrex 30x allows you to share your geocaches, tracks, routes and waypoints to other devices. This wireless connection feature enables you to share your experience with your loved ones and fellow travelers. You just have to press the send button and you can now easily transfer information. Using Basecamp, you will no longer have a hard time planning your trip. This software lets you see and organize data like routes, tracks, waypoints, etc. It makes it easier for you to create and plan your adventures. When you use this software, you can see the topographic map data in 2D or 3D. It also includes elevation and contour lines. And if you are subscribed to BirdsEeye Satellite Imagery subscription, it can transfer any satellite images straight to the device. Looking at what the Garmin eTrex 30x has to offer, it is a must have in your bag. For one, you will have to spend to buy this handheld GPS device. Plus, you might need to pay for subscription fees for certain information and data not included. But if you are going to take its specs and features, the Garmin eTrex 30x is worth the buy. Why? It is simply a very useful tool for people who like outdoors. It is very reliable and precise which makes it a good choice. With its connectivity features, memory capacity and over-all performance, you can never go wrong in choosing Garmin eTrex 30x. At the end of the day, you get to choose which GPS handheld device fits your needs and personal preferences.